South Central Texas Cattle Ranches Ranches. 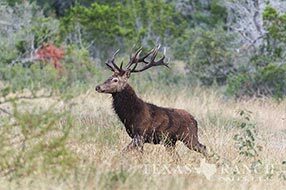 South Central Texas ranch real estate over 500 acres, cattle, ranch land for sale. 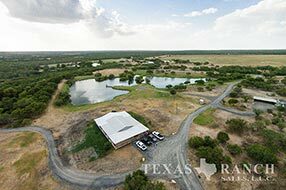 Cattle ranches over 500 acres for sale. 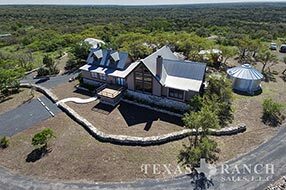 Domino Ranch; beautiful rolling terrain and million dollar views from the higher elevations with giant live oaks, mature cedars and great deer brush. 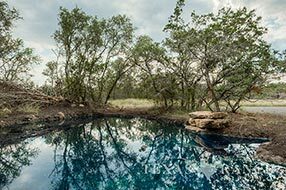 Located about 14 miles North of D’Hanis, TX the property is tucked privately away among the incredible picturesque landscape offering the ultimate package of relaxation and recreational enjoyment. Aside from headquarters there is a guest house, hunting camp/lodge area, guest suite, barn, foreman’s house, equipment barn, corrals, and pens. Almost all furnishings and equipment are conveyed with the sale of the ranch. This unbelievable turn-key ranch is perfect for hunting, deer breeding, and of course recreational use. 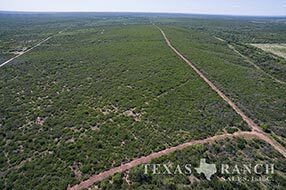 Texas Ranch Sales offers for sale a beautiful Medina County Ranch located off of FM 2200 with excellent black top roads accessing all areas of the ranch. 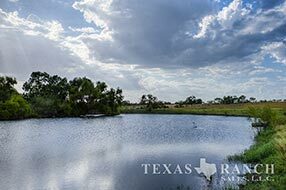 Seco Creek Ranch has a 5 acre lake that has been professionally managed and is producing 8 pound bass, a 3 acre lake, numerous ponds, and a 1648’ Edward’s water well with 8” steel casing that is permitted for 10 acre feet per day. Terrain on the ranch is rolling with over 1 mile of the Seco Creek running through. Truly an awesome ranch that has been well maintained. 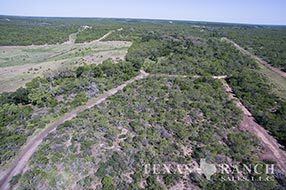 A perfect, ready-to-go recreational, hunting or cattle ranch. 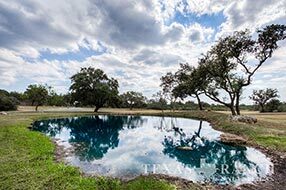 Texas Ranch Sales offers for sale this incredible ranch located just 5 miles North of D’Hanis, TX in Medina County. The ranch boasts a beautiful rolling terrain and million dollar views from higher elevations. Giant Live Oaks and mature Cedars freckle the entire landscape. With a hunting lodge, guest suite, barns, walk in cooler, and shooting range this is the perfect ranch for family hunting or to lease out. The majority of the furniture and equipment on this ranch will convey with the sale. This incredible ranch offers an awesome opportunity to own a beautiful, ready-to-go hunting and recreational ranch. 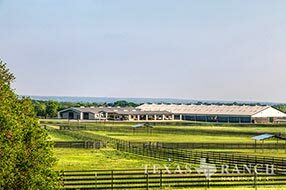 Texas Ranch Sales offers for sale Squirrel Creek Ranch located in the highly sought after transition zone of Medina County. Boasting rolling terrain, beautiful views, Live Oaks, native pastureland and thick underbrush, this ranch provides excellent cover and forage for the abundant native wildlife. There are two wet-weather creeks that flow through the property during the rainy season. The diverse terrain of this South Texas property makes this ranch appealing to many tastes. 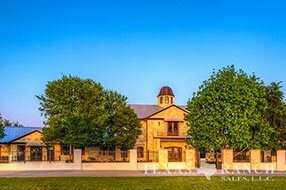 Uniquely Suited to the “South Texas/ Hill Country Lifestyle” offering both large scale entertainment possibilities and quiet retreat areas, Hat Creek Ranch is a privately gated 551+/-acre estate. Designed for the equestrian life style, but the diverse topography of this ranch also provides opportunity for the nature lover or the sportsman, as well. Lush green pastures to the wet weather Deep Creek Gorge leads to an abundance of “South Texas” wildlife. Majestic oaks, wooded trails and elevations with spectacular views to fascinate. Hat Creek Ranch will provide privacy and opportunity to explore a range of uses and recreational interest.